All year around Scandinavian Travel Services provides tours to Vatnajökull national park, which will let you see stunning waterfalls, ancient rock formations and fascinating canyon. The trip will last for 9-10 hours and you should bring with you warm clothes, waterproof jacket and trousers and good hiking shoes. 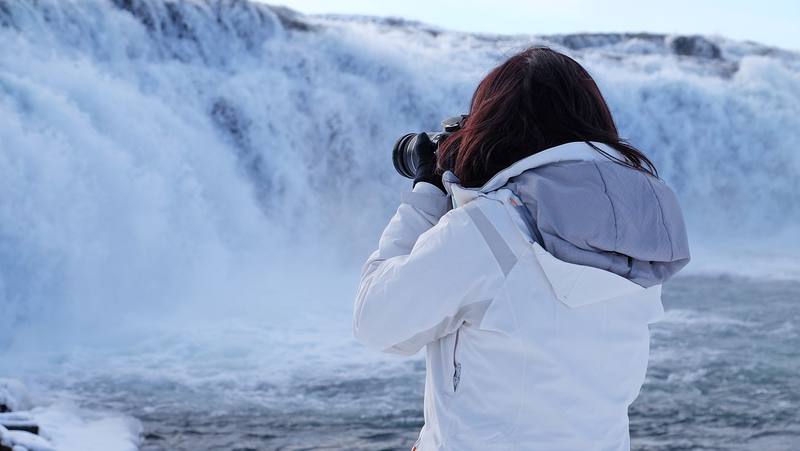 The tour starts at Tourist Information centre in Reykjahlíð, then you will head to the most northern part of the park, where you will see famous Dettifoss, one of the most powerful waterfalls in Europe. The next stop is Selfoss, this beautiful waterfall is completely different from much bigger and powerful Dettifoss: it is horseshoe-shaped and relatively small (11m tall). Further, you will visit Hafragilsfoss, the third waterfall on the glacial river Jökulls á Fjöllum. After that, there will be a chance to explore amazing nature in this part of the park: at Hljóðaklettar you will see great variety of unique rocks: basalt columns in different size and shape formed fascinating cliffs, pillars and caves here. That's definitely worth seeing for both adults and children! The next stop is Asbyrgi canyon, which is famous for being horseshoe-shaped. There is a legend behind this: the canyon shaped this way because of Norse god Odin's horse Sleipnir. Here you will find another amazing rock formations, which are known as Eyjan. Near the small lake Botnstjörn, you can discover various types of Icelandic birds. The canyon was formed around 10,000 years ago and is one of the most impressive places in the country. On the way back you will have a great chances to see puffins. The group will visit small fishing town Húsavik, which is famous for puffins! The price for the tour is 95.000 ISK per person, there is 50% discount for children. In case you prefer more private trip, there is a possibility to get VIP tour with no more than six people on board. You can read more information here.